Most people start their day with a cup of coffee, but only a dedicated few turn that one cup into thousands. Before a bag of coffee beans ends up in the hands of a condescending barista or is coarsely ground in the kitchen of the French Press Hard-On Guy, somebody's gotta turn those raw, green caffeine nuggets into the brown bombshells that we all know and love. 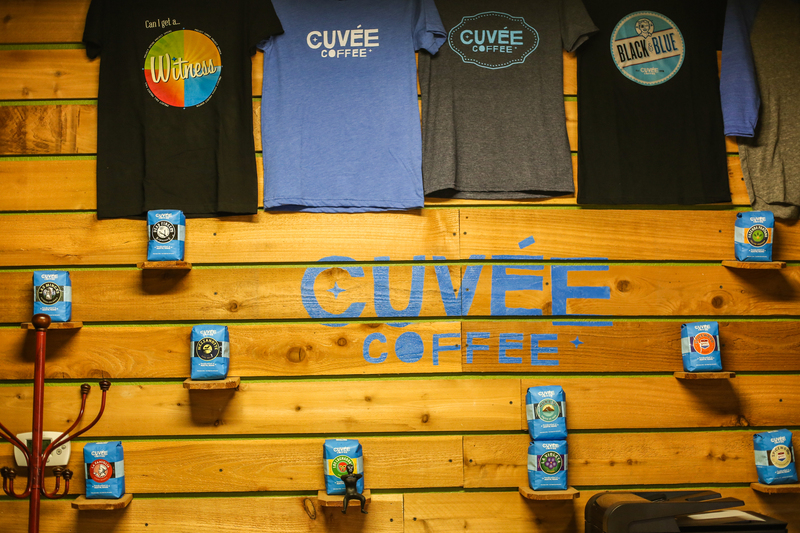 To give a window into a roaster's daily grind, we visited Cuvée Coffee just outside of Austin, TX and shadowed the staff for nine very caffeinated hours. 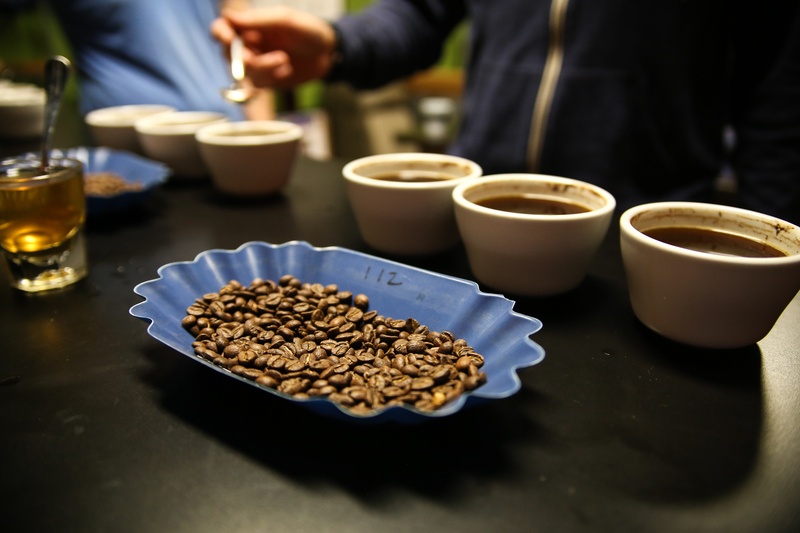 You'll get a closer look at the roasting process, as well as an incredibly thorough brewing course with an emphasis on the science of flavor. But mostly there are pretty pictures of coffee! 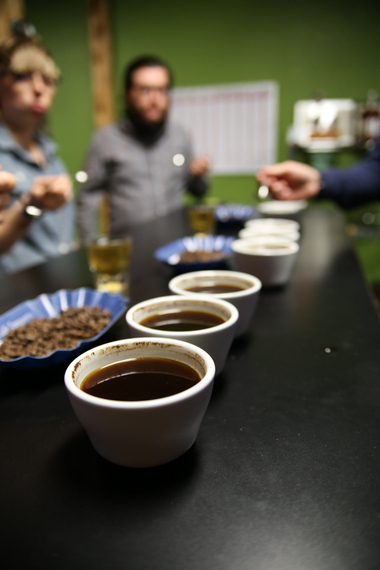 Each day starts with a cupping session to test the quality of the previous day's roast. 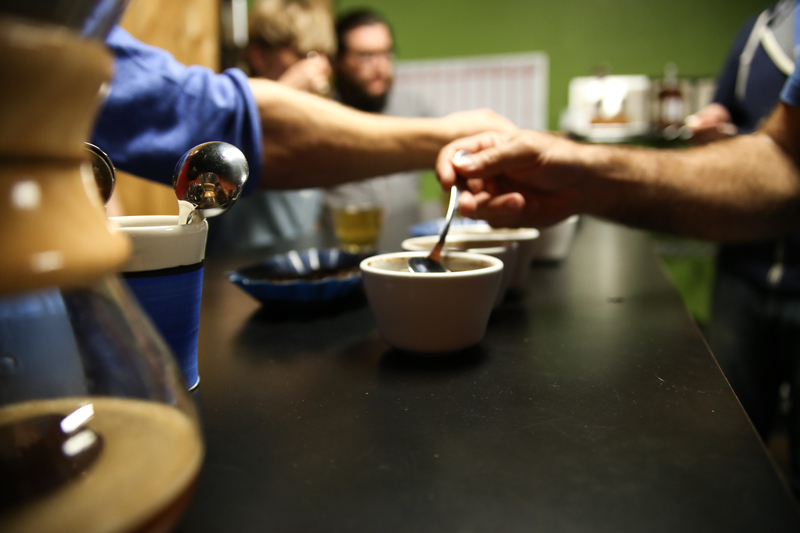 The entire staff circles the tasting table, slurping spoonfuls of coffee and noting irregularities in the flavor profiles. 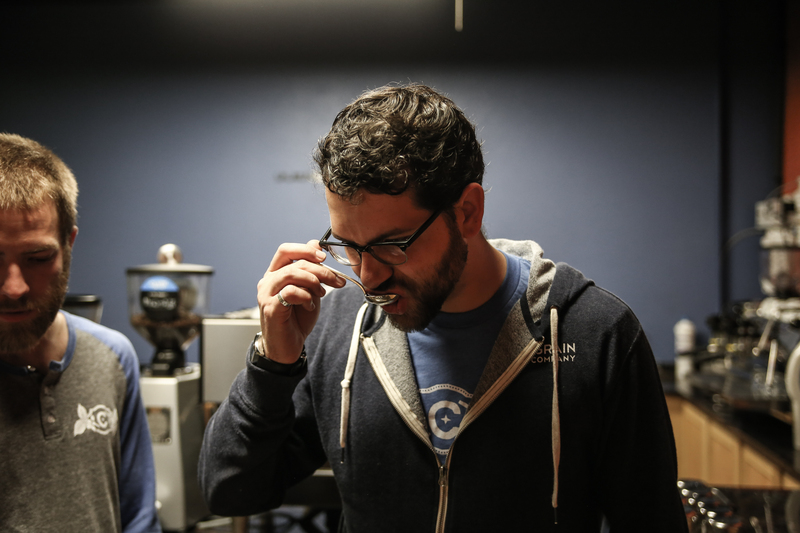 A violent slurp is important because it sends the coffee across every part of the mouth, from the tip of the tongue, which is most in-tune with sweetness, to the back of the mouth, which has evolved to taste bitterness. That bitterness can trigger a gag reflex as protection against dangerous substances. Like instant coffee. Meanwhile, Mike, the owner, is breaking open a bag of unroasted beans. 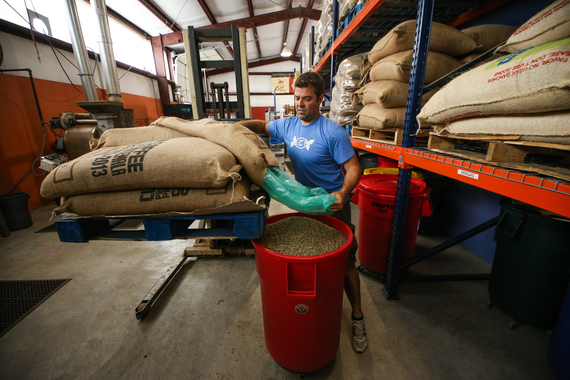 The burlap sacks are lined with GrainPro bags that can keep the beans fresh for up to a year. This is important because roasters generally buy a year's worth of product at a time, using an importer as both a credit line and storage facility. 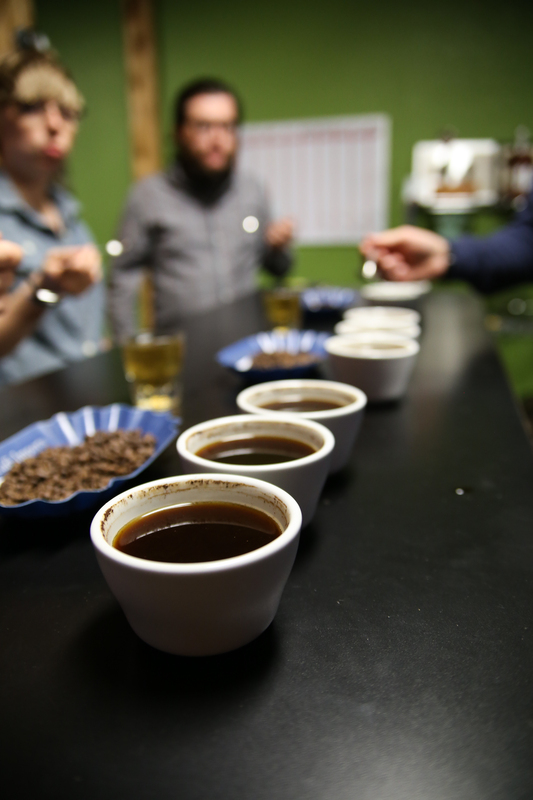 There's still a lot more going on in the day of a life of a coffee roaster -- see how they roast the beans, and how their tasting room is turned into a science class, all on Thrillist.com!